Bill Farquharson has trained thousands of print sales representative, sales managers, and “selling owners” with a highly successful, no-nonsense “old school” approach. His unique training programs—The Sales Challenge, 90 Day Sales Blitz, and Sales Professional Development online certification course—have become industry standards for driving new business. He has trained and coached salespeople from companies such as Xerox, Fuji Xerox, HP Indigo, Heidelberg, EFI, and Konica-Minolta. Prior to joining Idealliance as an Ideadvisor Partner, Bill Farquharson was President of Aspire For, a sales training and consulting firm focused on the Graphic Arts industries. 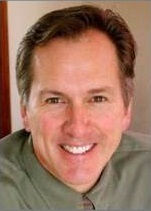 He is a 30+ year sales veteran in the print and form industries who is a “been there-done that” presenter. His ability to draw on personal experience as a print/digital/vdp sales person gives him tremendous credibility with his audience as he energetically motivates his listeners with proven strategies and techniques. Bill received a B.A. degree in Marketing from the University of Massachusetts/Amherst and worked in sales at UARCO Business Forms, Advanced Form Systems, and Print Tec Network, prior to founding his own firm, Aspire For. In addition to the regular sales programs he presents, Bill is a speaker at major industry and client events, including Graph Expo, the AMSP/NAPL/NAQP Winter Conference, the Speedpro National Conference, and the Shamrock Companies National Conference. An active columnist and blogger for Printing Impressions magazine and PIWorld.com, he also shares two weekly electronic eblasts each week with thousands worldwide: his Monday Video Sales Tip and Friday Short Attention Span Webinars. In his sales consulting work, he offers executive coaching, new sales rep assessments, veteran sales rep motivation, and training in developing new business strategies, sales accountability, and time management efficiency. Bill’s programs are aimed at both salespeople and “selling owners” in the print, packaging, labels, and signage industries. The 25 Best Sales Tips EVER! Who is Making Money at Digital Printing?and How?